Back in February, Debbie at Sew I Think I Can Sew ran a Pattern Pyramid Giveaway and I was the lucky winner! So the pattern pyramid exchange started by Karen at Did You Make That? made it's way back to the States from Canada and into my hands. I now get to run my own giveaway and I'm excited to keep this going! The pattern is one that I picked up in a thrift store a while back but I've since decided I have other patterns like it closer to my actual size. I picked up the fabric in a different resale shope, and it's about 2.5 yards of vintage cotton (44" wide). I already washed it but it's not really me so it deserves a new home. I hope it will make someone a lovely summer dress or top! You must leave a comment and include your email. I will randomly select the lucky winner. I will then post off the patterns and fabric. 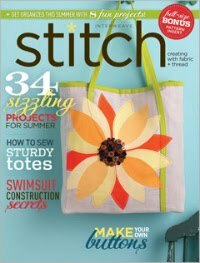 The winner gets the fabric and can also pick one pattern to keep for themselves, then host their own giveaway. They will randomly select a winner, post the remaining patterns to that Person, and the fun continues! Anyone, anywhere can enter the giveaway by posting a comment below by midnight Central Standard Time on Wednesday, March 13, 2013. 8 comments on "Pattern Pyramid Giveaway!" I hope you're not disappointed but this isn't a pattern pyramid from Karen! I started it in Wellington, New Zealand as part of the Wellington Pattern Pyramid and have been following it around the world, adding it's new homes to my blog reader. I'm pleased one of my patterns has found a new home with you and I hope you enjoy it immensely! So sorry! I had no idea that there was a different family tree of pattern pyramid making it's way around the world! Thanks for starting this, and I am delighted to have discovered your blog! Ha, ha! I"m confused, too. I don't think it matters at all - spreading the love. Alright, add me to the draw. Hehehe(nervously)... maybe it is time I shake things up a bit for myself and join in something like this. I do have a lot of patterns to spread and share too. This is the first pattern pyramid I've entered, so put me into your random draw please, you never know!! Send everything to France and I'll take the Willi Smith please.